Belle Bouquet in Saraland, AL hit a home run with this stunning bride's bouquet. 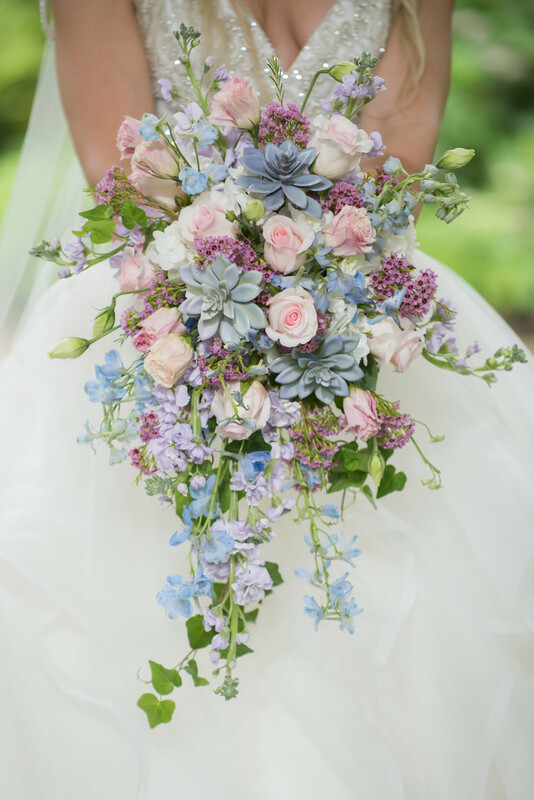 The beautiful spring colors were a perfect mix of pink roses, light blue succulents, green ivy, lavender freesia, and other soft hued blooms. An extra bonus to using succulents is that they can be replanted. Your bouquet can live on and be a sweet little memento from the wedding.